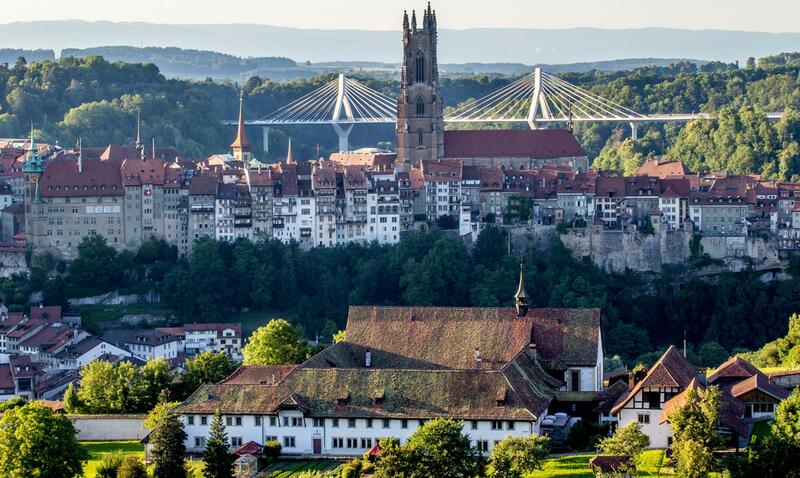 Before entering the heart of this dynamic city, known as a Mecca for fine food enthusiasts, this route offers you a chance to admire Fribourg from the new Poya Bridge, with its futuristic architecture. With such a view, it’s impossible to resist the desire to find out more and visit every corner of this mediaeval town. 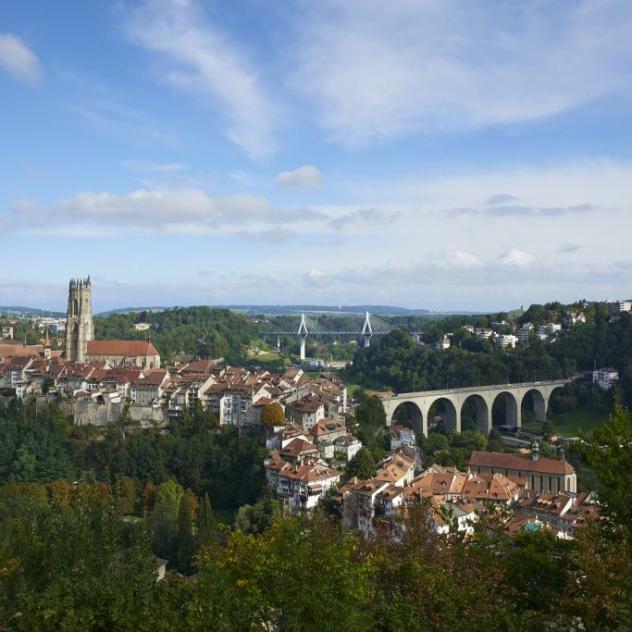 From Pensier and the charming artificial lake of Schiffenen, it’s only a few kilometres to Fribourg, where the new entrance to this mediaeval city is the height of modernity. 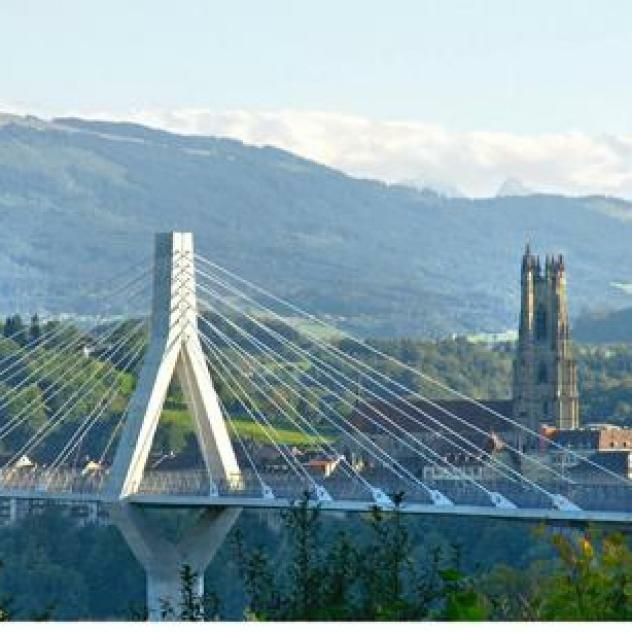 Opened in 2014, La Poya suspension bridge is a magnificent contemporary structure which is one of a kind in Switzerland. 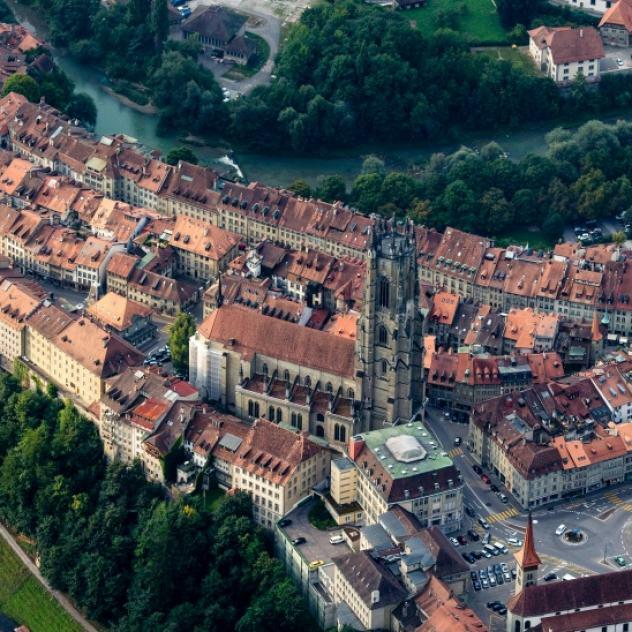 Open to traffic, it affords a stunning view over the city, refreshed by the meanders of the Sarine and crowned by the famous St-Nicolas cathedral. 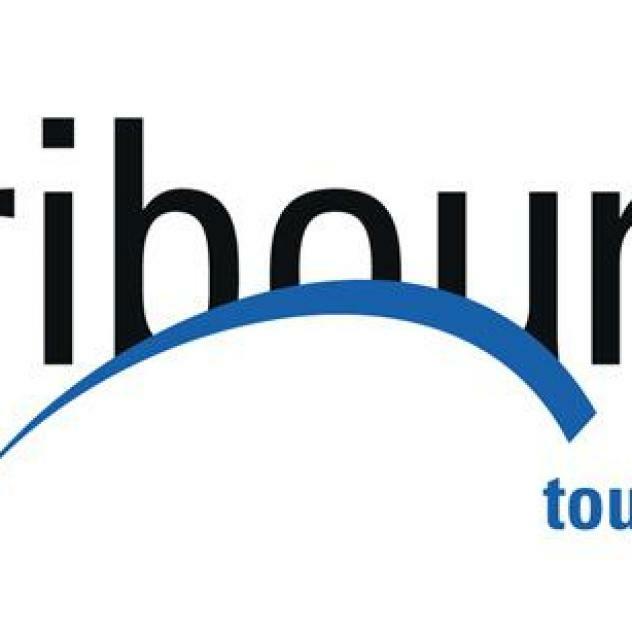 Once here, you can choose to go into the town and explore its museums, the old town with its mediaeval buildings and the various cultural attractions and unusual sights – like the magic caves of Le Gottéron – or continue on in the direction of Bourguillon. 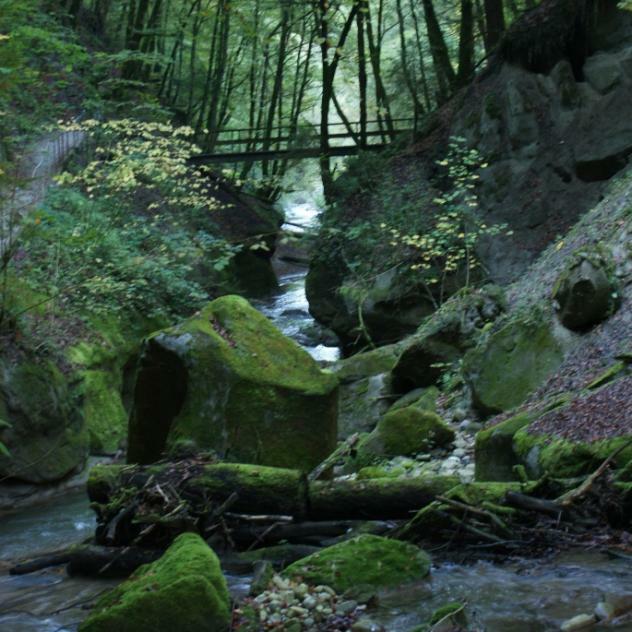 This little village also has a little surprise in store, accessible to cars: the Chemin de Lorette, known by the locals as the finest viewpoint, with the most romantic views.